Whatever age you are... and whatever shape you're in... our Tai Chi classes will help you experience an inner-peace & calm unlike anything you've ever felt. In every class, you'll perform slow, conscious movements that open the mind... strengthen the body... and invite joy into your life. Click now to read more about this life-changing program, and to get started today. Martial arts is so ingrained into my life, that I can't imagine my life without it. More importantly, I can't imagine my life without the gift of bringing martial arts to our community. It's why I get up in the morning with so much enthusiasm, and why I work as hard as I can to make my martial arts school an amazing experience for everyone who walks through our doors. Here's a glimpse into the results of this effort. You'll find out a bit about our instructors, how we do things here, our facility, as well as what martial arts is really all about. Read it over, and give us a call when you're done to get started now. 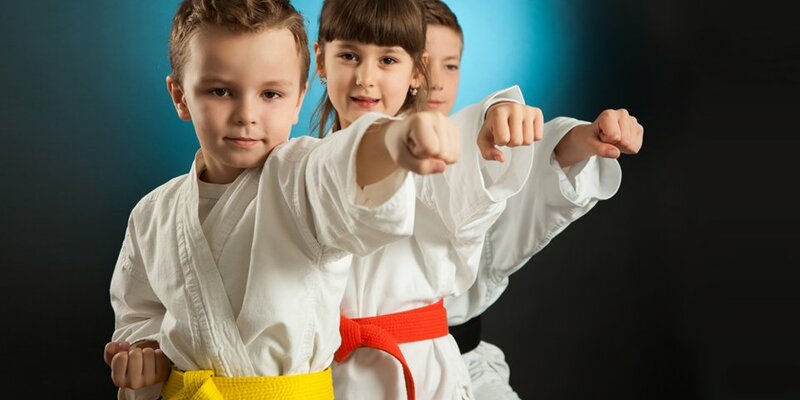 I can't wait for martial arts to become a part of your life, too. Passionate Instructors Who Really Care. One of the biggest pieces of feedback we get is about our instructors. The men, women & children of our community just can't get enough of their passion and enthusiasm. That's because martial arts isn't a “hobby” or something our instructors just “do on the weekends.” It's something they believe in. Something that's embedded into every area of their lives. And our instructors can't help but pass along this enthusiasm and passion onto every student they encounter. They're motivational, encouraging, supportive, and knowledgeable. Have a question? A challenge? A problem? They've got you covered. An Uplifting, Clean & Safe Environment. 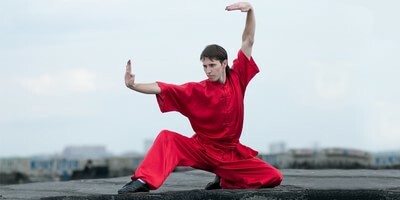 Martial arts training requires weapons-handling, falling and landing on cushioned mats, and doing exercises and drills that require getting down on the floor. As such, we take great pride in keeping our matted floors impeccably clean, and our equipment safe and up to date. You'll have no worries working with our equipment. And the moment you walk through our doors, you'll notice that we take great care of our studio - because we want you to have a great experience here. Entire families train with us here. Kids train with kids. Adults train with adults. Lots of our members live within walking distance of each other, and many are friends outside of our classes. The result: a close, family-like sense of community here. And the moment you join our classes, you'll feel right at home with this community. Students who have been training for a while help out the beginners. Exercises often require partners, and students take advantage of this to encourage and cheer each other on. No one is competing with anyone else here. No one is trying to “show off” or “out do” the next guy. Everyone just wants to learn and grow and help each other out. Take your time browsing around our website. You'll find information on all of our programs, get access to our exclusive online specials, and most importantly - you can get signed up today. I can't wait to meet you in person, and help you reach your goals with martial arts. Whether you're looking for fitness, inner-growth, or self-defense - we'll help you get there.